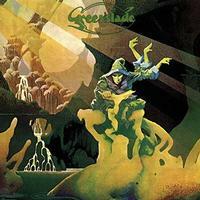 I remember that I first heard of Greenslade when I was looking over one of the Roger Dean books. I'm a huge fan of the artist, and he did the cover to this album. I found out later the connection between this band and Colosseum (keyboardist Dave Greenslade was in that outfit). I don't think I've heard a full Greenslade album until now, though. This new edition features the original album on one CD and some live cuts on the other. As good as the studio album is (and it really is great), these guys really shine on the live performances. If you dig old school progressive rock with healthy helpings of psychedelia and fusion, do yourself a favor and check this out. If you've heard the album before, but not the live stuff, you've not really heard this material. 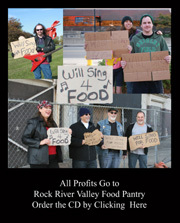 In addition to the two discs and digipack, there is also a great booklet here, too. It all combines for a great release that is a real value, too. They waste no time, powering out into an up-tempo jam that's part fusion and part progressive rock. The tune works through various movements as it continues driving forward. Around the minute and a half mark it drops back to a bit mellower motif for the entrance of the vocals. There is a bit of a psychedelic rock edge to the vocal driven movement. There is quite a range to the singing from mellower to far more rocking stuff. The music continues to shift and evolve as this track works through. I love the cool nearly classical edge as this opens with killer progressive rock abandon. This instrumental is a real powerhouse that works through a number of changes. As strong as the opener was, I think this is the better cut of the two. The weird prog that serves as the backdrop for the first vocals makes me think if King Crimson a bit. That sound is contrasted with a more melodic, classically tinged movement. This turns a bit toward a soulful, church music kind of vibe after that section. Sure, it's still packed full of psychedelic prog goodness. It grows out gradually as it continues. As it approaches the two minute mark it explodes out into some killer prog rock jamming. Eventually it makes it back out the song proper to take it to the closing. Dramatic prog opens this. As it gets to the vocal movement there is a trippy kind of psychedelic vibe in the mix. There is a playful kind of instrumental movement that's led by the keys and has an echoey kind of vibe after the one minute mark. As it gets back to the vocal section I can make out a lot of jazz in the mix. The instrumental section that opens this shifts this way and that. It's fast paced, quirky and so meaty. Around the two minute mark it shifts to a powerhouse dramatic prog jam. I love the bass that really manages to drive that movement. Some non-lyrical vocals come over the top as this works onward with an almost space rock texture. There is a healthy helping of psychedelia built into this piece. With the bass continuing to hold a prominent place in the arrangement, this moves out into more an energized, nearly mainstream jam. Other than those non-lyrical vocals this is an instrumental track. It's also very dynamic and powerful. A fast paced hard rocking jam opens this. It is the most direct powerhouse rocker of the set. Yet it's also pure progressive rock, shifting directions abruptly and getting into some jazzy territory at times. The dramatic movement mid-track has a bit of a psychedelic meets classical approach. This just keeps reinventing and evolving as it works forward. There is some decidedly symphonic prog that emerges further down the road. Piano is at the heart of the mellower introduction to this piece. As the keyboards drive the bulk of that opening movement, the track eventually powers up to more of a rocking vibe as other instruments stand up taller in the mix. Still, the keyboards continue to really star and drive this piece. Various keyboard sounds are on display as this instrumental winds through in style. Around the three minute mark it drops back. We're taken out into a jam that's part fusion and part spacey sounds. It's a classy jam that really works well. This whole thing goes through a number of changes before shifting to more keyboard based stuff on the way out. While this live take seems to have more jazz built into it, there is still some of the psychedelia here. It's quite a strong performance. The bass really gets to show off later in the tune. The bass really shines on the opening movement of this, too. Another great live rendition, I think I like this better than the studio version of the track. A cool live take, this seems to have more of a free-flowing groove here than on the studio album. It doesn't lose anything, but seems to gain a bit in live performance. BBC Radio One "In Concert"
This seems to start even mellower in this live take than it does on the studio album. As this grows outward it becomes a real powerhouse. While I like the studio version a lot, this is so far beyond that one that it's scary. It has some amazing instrumental work and textures built into it. While this comes across a bit less odd in the first part of this live take than it does on the studio album, the quirky elements are still present. This really has some potent movement as it works its way forward. I think I might like this version of the song the best of any here. It has so much energy and style and really manages to groove well. They work through the various sections with a conviction and intensity that seems to really surpass the other takes of the track. The closing live number is another that works really well. It gets into some seriously power territory before it's all over and done.